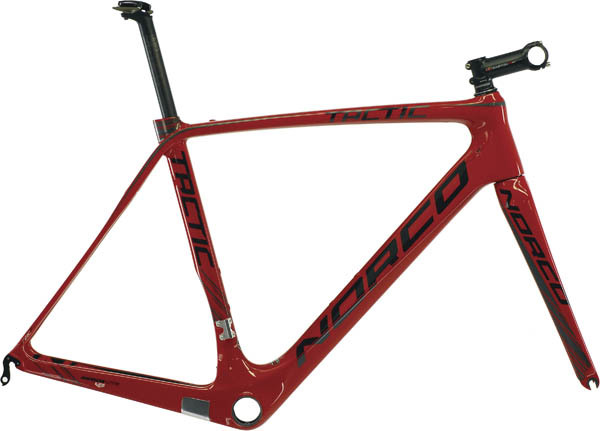 The Tactic has all but replaced the CRR as Norco’s top-end road racing frame. By focusing attention on a number of key areas, the bikes are stronger, stiffer, and more comfortable. For 2013, the curvy, euro-esque lines of the CRR have been replaced with a more jet-fighter look. Through their own proprietary molding process, Norco has matched a feather light top half frame structure to an oversized chainstay-BB-downtube structure which they call this their 'power chassis'. The top being wide and thin on the horizontal to help in comfort. With the Power Chassis being an incredibly rigid structure, the Tactic’s stiffeness helps for climbing and sprinting. Carbon fiber technology continues to evolve from one season to the next. Norco is now using a higher modulus 46T carbon, and a new resin they call ‘Armorlite.’ Combined, they are meant to increase stiffness with added impact resistance (hardness). Weights are landing in the 890g range (56cm). Another feature helping the weight reduction is a Pressfit BB30 botom bracket, know for being lighter and less prone to creaking. On the handling side of things, Norco has made the geometry tighter and more aggressive; pretty typical road racing geometry. Pricing on framesets start at $1850, which includes a full proprietary tapered carbon fork. The sky’s the limit with the price of complete bikes. Ranging from the $9000 Tactic LE with the latest Dura Ace 9000 build, including Shimano C35 Carbon wheels, to the $3650 Tactic 1, featuring a Shimano Ultegra mechanical build and 30mm Easton Aero wheels. With the Tactic 1 and 2, Norco has substituted a 24T Mid-Modulus Carbon fiber for the frame with no changes to the geometry. They’re priced as low as $2900. 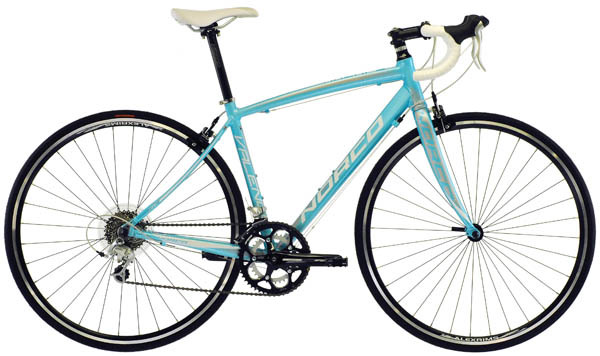 Carrying over from 2012, Norco offers both the Valence Carbon and Valence Aluminum models. Targeted at the growing Gran Fondo/Charity ride community, this model was designed for riding longer distances with comfort and efficiency being the priority. The fit is more relaxed then the pure racing feel of the Tactic, but that’s not to mean it’s a slouch. With options like Ultegra Di2 and Mavic Ksyrium Elite wheels, bike weights can still hover in the 16lb range. Also part of the Valence line is what Norco calls the ‘Forma series’. Forma models are geared specifically towards women, with features like women-specific frame geometry, saddles, handlebars, and other controls that are necessary for ladies to feel comfortable and safe on their road bikes. Forma models are available in both the carbon and aluminum Valence. As in past years, Norco makes a point at spec’ing sensible, quality name brand components to round out most of their build kits. For 2013 you will see more Fi’zi:k, Easton, Ritchey, and FSA, as well as the usual Shimano and SRAM parts kits. Small details like hidden fender mounts and 25C road tires across the board, cause they make more sense for the majority of us. The Threshold Carbon has tighter, racier geometry, while the Threshold Alloy has more of a utilitarian feel to it. With the versatility of a cross bike, Norco has managed to cleverly spec these models to suit a wide range of needs. 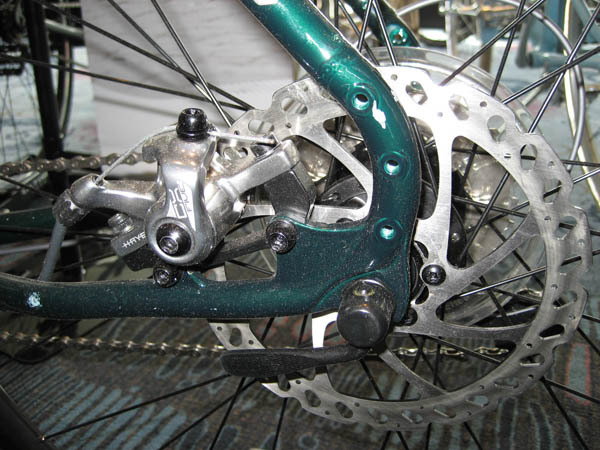 Disc brakes are offered on all Threshold Alloy models as well as the Carbon C1. Everything else will have traditional cantilevers. 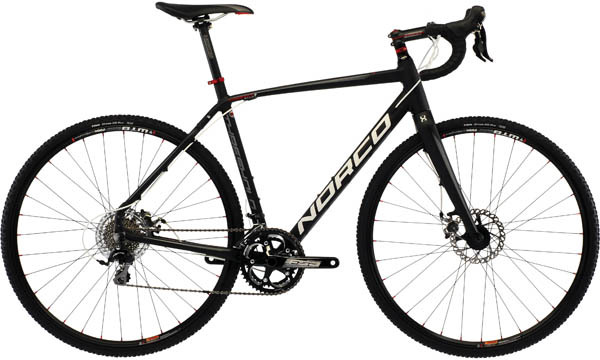 With their 2013 cross bikes, Norco has simplified things by offering just two Threshold models. The Threshold Carbon, which features quicker handling geometry is geared towards the racier crowd. And the Threshold Aluminum, which has a more utilitarian feel. They tend to appeal to those folks looking for a more versatile cross bike. Stand out features on both bikes include disc brakes across the board for the aluminum models. They’ve also added a carbon disc option with the Threshold C1. Prices top out around $4000 for the Carbon Threshold and go down from there. 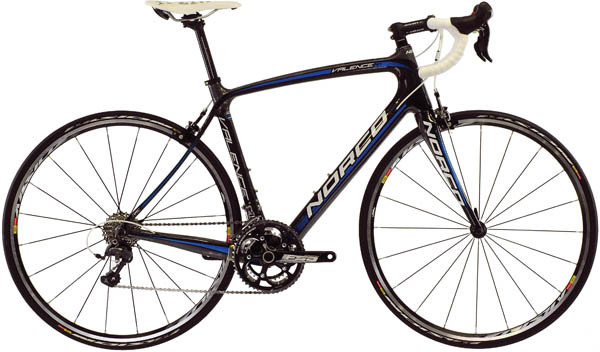 Like the road bikes for next year, Norco is includes a decently spec’d parts kit with good brands. SRAM drivetrains are included with all the carbon models while mostly Shimano will be found on the alloy models.